Ten People Die After Car Crash In St. Lucie County | Schuler, Halvorson, Weisser, Zoeller & Overbeck P.A. 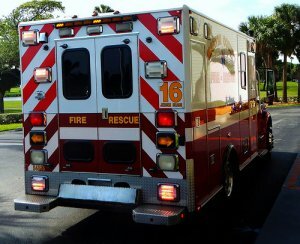 Ten people died and two were injured in a car crash and fire on St. Lucie County coast near the tourist hot spot of Fort Pierce, the St. Lucie County police department said. In the accident, two cars and a motorcycle collided on the highway between Fort Pierce and River Park, Florida Highway Patrol officials said. Witnesses said a one-year-old and four-year-old were killed in the accident and that others who died ranged from 26 to 76 years old. The wounded survivors are ages 8 and 18. The highway along the Fort Pierce Avenue is typically busier than usual at year-end, when tourists flock to beaches for vacations. Earlier three residents of the St. Lucie County were killed when their bus crashed and flipped over on a highway in the Port St. Lucie where many popular tourist sites are located.